Check out Lycanroc’s new form in “Pokémon Ultra Sun and Ultra Moon!! Salutations, J1 Fans! 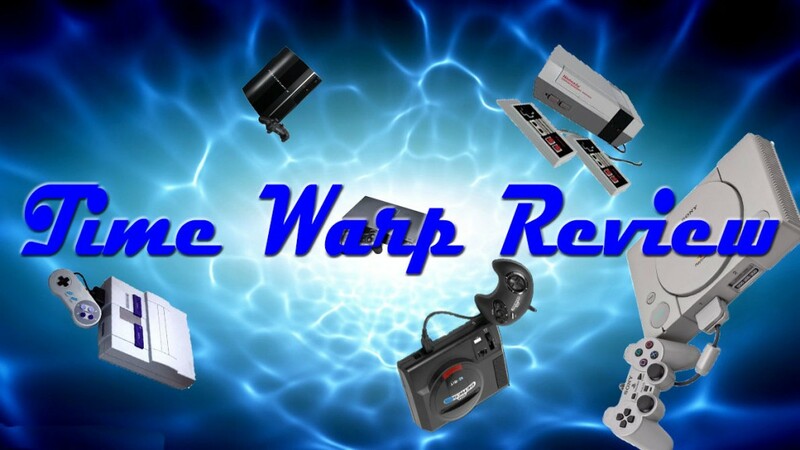 Devildriver1313 is back to take you on another trip into gaming history! The 1990s saw a big boon in fighting games with several developers flexing their muscles at one another in the fight for gaming supremacy. Capcom’s Street Fighter II and Midway’s (former name for Netherrealm Studios) Mortal Kombat held the top tier spots with SNK running not too far behind. During that time, Sony entered the home console market with the Playstation game system and had several exclusive releases. This is one of them. Before Soul Caliber, there was Battle Arena Toshinden, a weapons-based fighting game developed by Tamsoft and published by Takara and Sony. It was originally promoted as a “Saturn killer”, pitted against Sega’s Virtua Fighter. Unfortunately, the battle was over before it started when the game was ported to Saturn later that year. The story of Battle Arena Toshinden follows a young Japanese swordsman named Eiji Shinjo who has been searching for his brother who disappeared after entering the Battle Arena Toshinden tournament a few years ago. There he encounters other fighter who have their own issues with the Secret Society, the organization behind the Battle Arena Toshinden tournament. They are Eiji’s best friend/rival, Kayin Amoh, a Scottish bounty hunter who seeks revenge against the previous tournament champion of last year for the death of his foster father; Sofia, an amnesiac Russian private detective who is seeking her long-lost past memories; Rungo Iron, an American miner who is determined to rescue his kidnapped family from the Secret Society; Fo Fai, a Chinese magician/serial killer who enters the tournament in order to satisfy his personal bloodlust; Mondo, a Japanese ninja who is undertaking an infiltration mission for a rival group of the Secret Society; Duke B. Rambert, a French knight seeking revenge against Eiji for a past defeat; and Ellis, a cheerful and kind-hearted orphaned dancer who is seeking personal answers regarding her long-lost missing father. 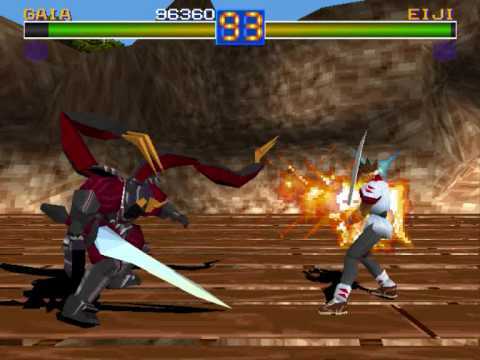 Battle Arena Toshinden is regarded as a “true” 3D fighter due to its introduction of the sidestep maneuver, which is used by pressing the shoulder buttons on the controller. Players move using the directional pad. Like 2D fighters, pressing back on the pad allows players to block attacks. Tapping forward twice allowed the player to sprint as short distance, setting up for a rush attack. Each character has his or her own unique abilities, basic moves and desperation attacks. Special Moves are performed using control inputs from other 2D fighting games, i.e. Ellis’ Rising Sword is the same as the “Shoyuken” from Street Fighter. Desperation Attacks are something of a precursor to the “Ultra Moves” of Killer Instinct, in which characters can perform a powerful attack when their health is below twenty percent using a special command input. Battle Arena Toshinden was released in 1995 for the Playstation, Game Boy, Sega Saturn and in 1996 for Game Boy. The original PS version was ported by Nexteck/Sega to the Saturn while the Playstation version was still in development and released as “Toh Shin Den S” in Japan and “Battle Arena Toshinden Remix” in Europe and the US. The DOS port for PC, developed by Digital Dialect, included Earthworm Jim complete with his own arena music, however his move set matched that of Rungo Iron. 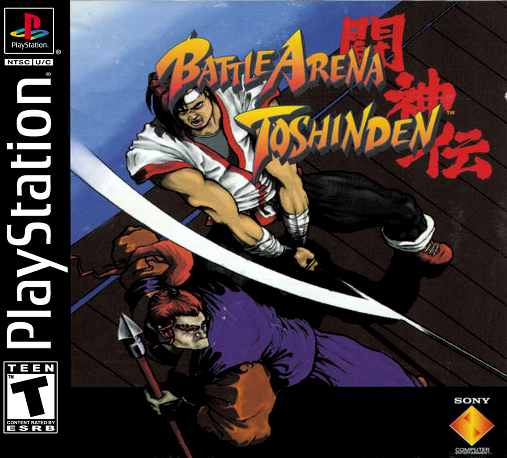 Battle Arena Toshinden was critically acclaimed upon release, receiving high marks from several game magazines. GamePro, reviewing the Japanese version in early 1995, remarked that the game was very impressive and superior to Virtua Fighter in some aspects, but flawed in others. While the polygon graphics and unique gameplay style received praise, problem with fighters obstructing the screen at some angles could not be ignored. Next Generation also reviewed the game prior to the US release, saying that the gameplay “lacked originality” and that it loses “by a hair” when compared to its rival, Virtua Fighter. Battle Arena Toshinden quickly declined in popularity once fighting game like Tekken started emerging, but this didn’t stop it from spawning several sequels. As the first 3D weapons fighter, Battle Arean gave rise to Soul Edge and Soul Edge’s successor Soul Caliber.